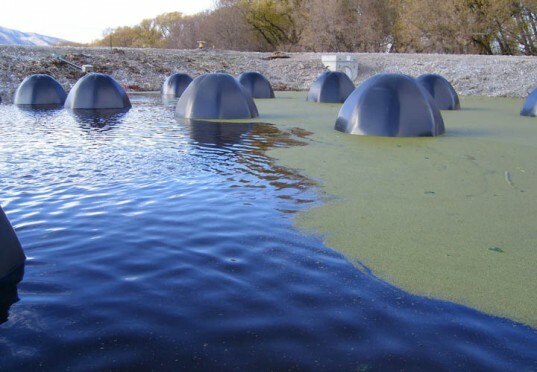 Bio domes are an igloo shaped devices for wastewater treatment. This device is a new sustainable solution, designed by Kraig Johnson. The technology is based in the action of bacteria, like most of the sewage treatment plants, but the process is enhanced in a six-foot-wide five-foot-tall structure. To maximize surface area for the bacteria, several plastic domes lined with biofilm are stacked on top of each other, like Russian nesting dolls. The device can be used in existing waste water treatment lagoons, increasing the efficiency.